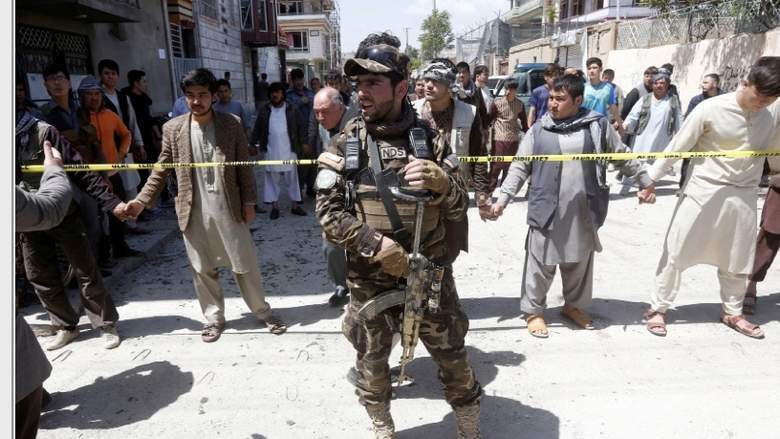 Afghan officials say two near-simultaneous Taliban attacks in western Badghis province have killed at least 14 troops and policemen. Ghulam Sarwar Haidari, the deputy provincial police chief, says a large number of insurgents attacked army units in the district of Ab Kamari, killing nine soldiers in that attack on Monday. He says that at the same time, another group of insurgents struck police in Qadis district, killing five policemen.